Today, etnies and Michelin have partnered to make the most durable shoe in skateboarding even more long-lasting with the global release of the Michelin Marana whose outsole is now equipped with Michelin’s tire rubber compound. In an effort to continuously improve the world’s most durable skateboarding footwear, etnies joined forces with Michelin to translate performance and durability of tires to shoes. After countless days of testing and research, Michelin’s PC00 rally racing compound was chosen to be added to the soles of the etnies Marana due to the: long-lasting formula, slip-resistant offering that includes unmatched durability, precision, enhanced adherence (grip) and maximum flexibility for a superior board feel. 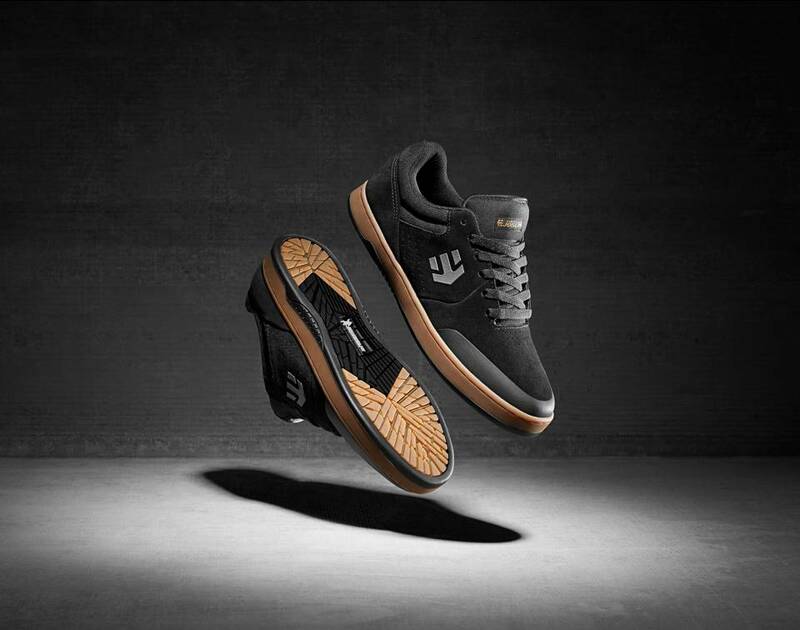 The Marana has been in the market for four years and not only is it worn by some of the best skaters in the game, but also has a growing fan base from etnies followers across the globe. This became apparent when fans would proudly post their exhausted Marana to their social accounts as a badge of honor to mark how hard they worked to wear out this durable shoe. What is now known on Instagram as the ‘Marana Graveyard’ shows the shear strength and durability of the Marana, loyalty of its fans and how each skater loves the shoe so much that they buy another and add them to the graveyard as they slowly wear through each pair. Through seeing all of these worn out shoes by fans across the globe, it became apparent that one thing was common among them all: Wear spots could be seen on the heel and ball of the foot of most pairs. This is a unique problem in skateboarding, as traditionally the upper of a shoe never outlasts the outsole, but with the innovative high-performance rubber toe cap and blind seams connecting the toe box, we had created the toughest skate shoe in the industry. 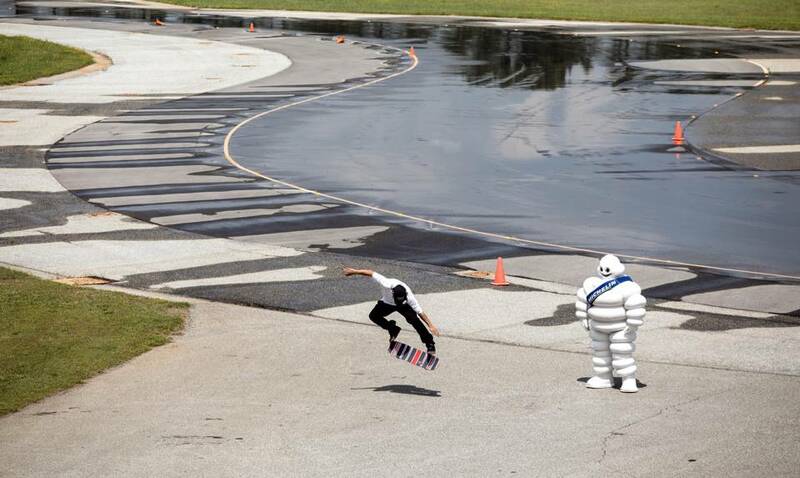 The partnership between etnies and Michelin was created based on this unique problem. The goal of the partnership between etnies and Michelin was to increase the durability of the outsole, while still retaining the same basic aesthetics that skaters love in the Marana by developing a rubber compound that would not lose any of the existing properties, but would add more durability to the outsole. When Michelin agreed to partner with etnies, not only did they come back with a compound more durable with high grip abrasion, but they also suggested a combination of tread patterns taken from their high-performance tire archive to provide an outsole tread design that provided better flexibility, extreme grip in dusty conditions and rigidity in areas of the sole to protect against harsh landings. After Chris Joslin wear tested different rubber compounds, it was the Michelin’s PC00 rally racing compound that stood out among the rest due to the long-lasting formula. The Michelin compound is a premium Outdoor Compound (OC) for greater durability on uneven terrain, strong for stability and with good abrasion resistance. The outsole tread features large tread sculptures for maximum durability, interlock design for better adherence, multiple ­flex lines for board control and reactivity, deep grooves for weight reduction, and a high contact surface for support and shock absorption. The Marana sole also features cupsole construction, which creates a thicker barrier between the skater and the board. Together, these features make the new Marana the toughest on the market for high performance skateboarding. The upper provides enhanced durability thanks to a fused on, injected rubber toe cap. For maximum comfort, the upper also features a padded tongue and collar with hidden lace loops, and a STI Evolution Foam midsole for impact resistance. Available in men’s sizes 5-14, the Michelin Marana is now available on etnies.com/maranaand globally for approximately $75 (no change in retail price from the original).